I train some very talented and motivated individuals. Here’s what some of them have to say about me. Throughout my baseball career, I’ve been around dozens of strength coaches at the high school, Division-1 and professional level. The mark of a good coach is someone who is fully invested in each and every one of his athletes, and who constantly adjusts and adapts his methods both based on the latest research and on an individual basis. Andrew is one of the few I’ve met who fits the bill. Andrew understands the intricacies involved in creating an optimal training approach for each athlete, taking into account the sport, position, mobility assessment, training and injury history of the individual. As a strength coach and pro athlete myself, I fully appreciate the expertise that he brings to the table. For athletes with the desire and the passion to truly improve themselves, Andrew is more than a coach, he is a mentor, and is one of the genuine, unsung experts in his field. Andrew’s knowledge of lifting is way beyond his years. He is perfecting the way athletes should lift based on not only their sport, but of the position they play within the sport. Andrew designed a program for me that catered to my specific needs as a D1 pitcher. Within weeks, I was able to see results. Every week my front squat was increasing by at least 10lbs. and my deadlift was jumping 15-20lbs. as well. While I was getting stronger, I was also getting more flexible. Andrew focused a lot on my hip and shoulder flexibility and this was a key factor in gaining strength and preventing injuries throughout the season. 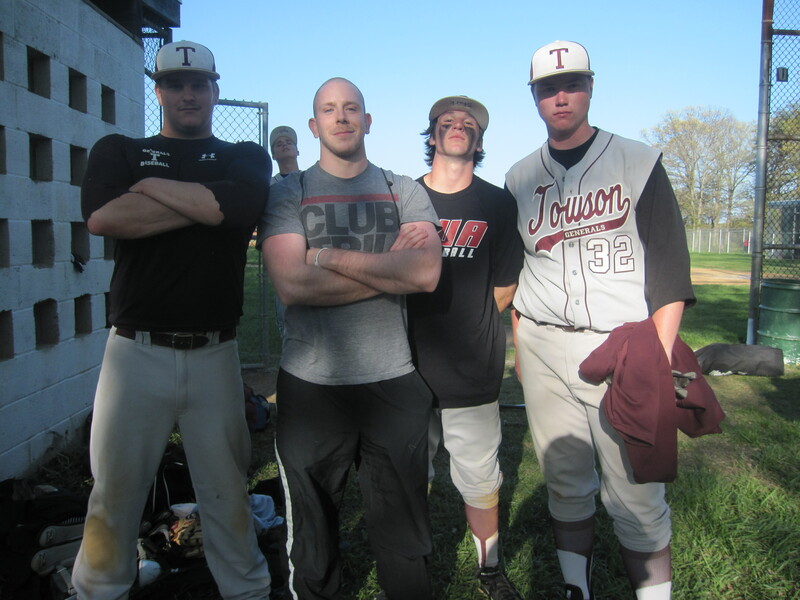 During my Senior season at Virginia Tech, I reached another goal of mine, throwing a baseball 95mph. I cannot thank Andrew enough for helping me with all of my success, and I will continue to work with him to reach more goals that I have set for myself. The change we have seen in Tommy as he has trained with you for the past 2 to 3 months is absolutely incredible. Tommy’s physical strength has grown exponentially. I watched him last week hit a ball just as far and as hard with a BBCOR bat as he does with his live non BBCOR bat. He has played every position on the field this year except for first and catcher. We started working last week a little on catching and he squatted down in catchers position and I said how does that feel. His answer “I could be in this position for 20 minutes without moving thanks to Andrew”. Just this week hit a ball bad and the ball still went approximately 300 ft for a double. As we were riding home he said the double is all because of Andrew. I do not know of a better compliment for you. His confidence is the biggest aspect his mom and I have noticed. He carries himself with a ton of confidence now, where as last year he was more soft spoken and mild. The confidence is not over the top cocky, it is just what I would call an inner arrogance where he is confident in his abilities. Physically looking at Tommy we are able to see his shoulders squaring up and his legs getting so much stronger. You know Tommy was not keen on the training at the beginning, because of your ability to work with him and your baseball background, he loves coming to training now. The techniques you are teaching him and the importance of stretching in your sessions has been invaluable. I have heard on numerous occasions Tommy talking to his teammates about his training sessions with you and he says to them you will get results if you listen to Andrew. I recently started training with Andrew over the summer of 2013 . Being a Division 1 college athlete you realize that you have to work to develop into an elite player . 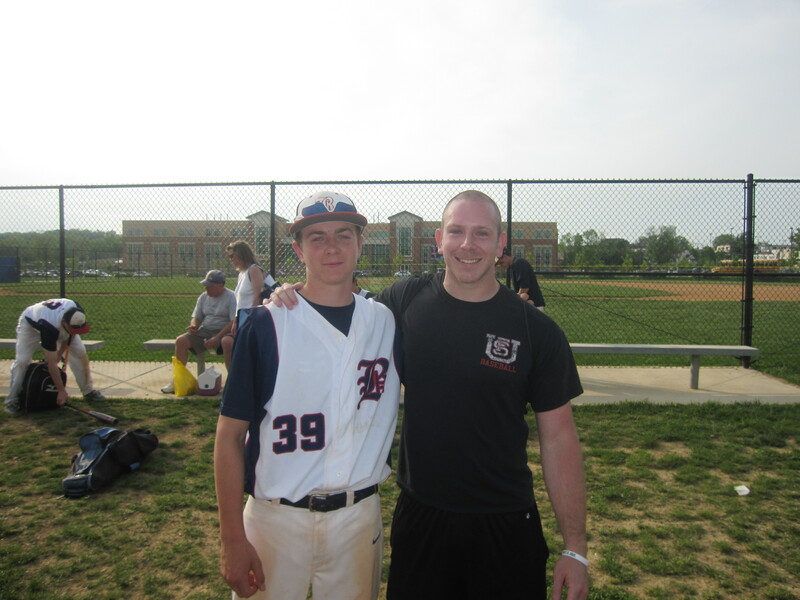 Working with Andrew was one of the best choices I have made toward my baseball career. After working with Andrew my speed and strength improved tremendously . My deadlift increased to 495 and my squat went up to 395 . My 60 yard dash time also improved by a full second. Prior to lifting with Andrew I was doing bodybuilding lifts that had no benefit for baseball and after working with Andrew I developed into a strong baseball player. Andrew will educate and train you to reach your full potential. Andrew is what you expect in a trainer who is friendly and yet still very professional and demanding in his workouts . I will continue to train with Andrew in the fall in preparation for the spring in which I hope to get All-conference honors and potentially take my game to the next level. I have been working with Andrew for the past off season and focusing on strength training. After offseason workouts, I started my high school season at Eastern Tech. This season, I noticed an increase in my pitching velocity and more movement on my pitches. I also hit the ball harder than I ever have before and I experienced less soreness as I was well conditioned. Andrew put together an awesome workout program for me and I really enjoyed coming in to work with him! He is an amazing coach who knows what he’s talking about and knows how to make workouts fun! I look forward to working with him in season this year and continuing to work with him this fall as well. I have been working with Andrew for about 3 years now. I’m a rising junior in high school, and I owe most of my success to Andrew, who has been with me every step of the way helping me make both varsity football and baseball as a sophomore. I started working with Andrew in 8th grade, so I could go into high school knowing what and how to lift with the football program. Ever since that day I have been working with him and have some of the highest maxes for my football team for my size. We have been working on my speed quite a bit lately and in my combine numbers you can see a steady improvement in my times. Before you do anything with Andrew he makes sure you know the science behind each exercise, and is very patient with you in order to make sure you use proper form. If you are an athlete looking to become the best you can be and reach your goals, I suggest seeing this man in the near future. We came to Andrew with the hopes of helping our son improve his running speed and form. He has not only changed my son’s flexibility and running form, but more importantly, he has changed his attitude about exercising and working hard. Andrew communicates well with me and has the ability to connect and communicate with teens making training fun and enjoyable. As a parent, I am thrilled with the physical improvement and even more so the life long skills and healthy habits being taught in a fun atmosphere. I have been training with Andrew for the past off-season and have also continued to train with him during my summer season. Throughout my whole off-season Andrew constantly pushed me to my limits, which definitely contributed to my increase in velocity as well as hitting. I have noticed a tremendous increase in my pitching speed as well as my pitching movement and speed on the base path. I always look forward to my training sessions because of my awesome workout program that Andrew always put together. I can’t thank Andrew enough for his dedication and hard work he put into always making our workouts fun as well as getting the job done and putting the right work in. I was always skeptical of going to an athletic trainer because of my heart disease (my condition limits me to only lifting half my body weight). However, I can truly say going into training with Andrew Sacks was one of the best decisions I made relative to my athletic career. He created a custom program for me addressing my heart problem. I went into training with Andrew with little knowledge about strength conditioning and weight training. Andrew was extremely patient with me and taught me all the exercises I needed to know. He was a great instructor and pushed me to new limits. As a result I have seen excellent results. When I started my training I was looking to make the Varsity baseball team at my high school. I was a pitcher throwing 75-78 mph with below average leg strength. My broad jump was 6’9” and my vertical was 19 inches. Andrew helped me accomplish my goal of making the Varsity baseball team by working on my weaknesses. Going into my senior year my broad jump increased to 8’11” and my vertical to 27 inches. However the greatest result was my pitching velocity. In my first pitching appearance of my senior year I was sitting at 84 mph, and was able to hit 90 mph from a crow hop. During the season he would take the time and constantly check up on me and give me advice. I am truly happy with the results and I recommend everyone to come and train with Andrew. Andrew is the kind of trainer that you want to work hard for. He makes every single workout extremely strenuous but still do-able. He keeps things light, but is still a professional at all times; he knows how to keep that line between friend and coach. He demands respect from his athletes and gives respect back. 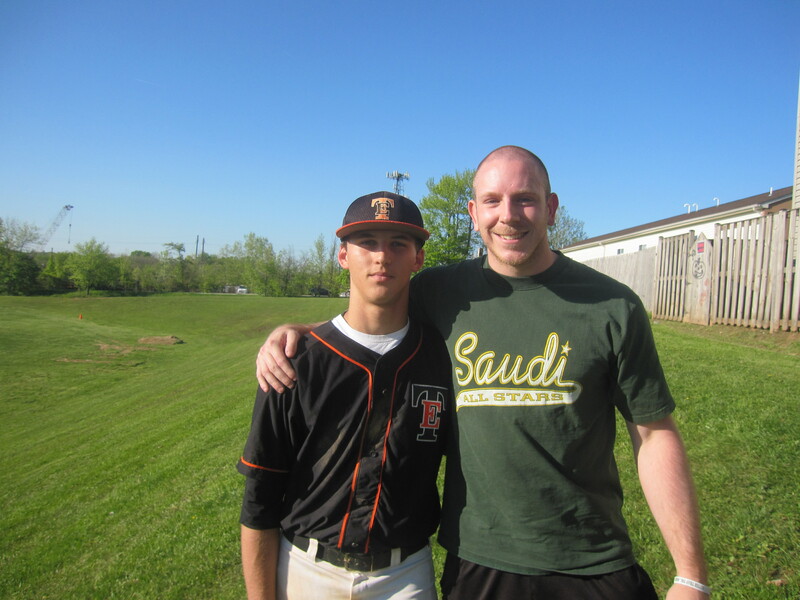 After working with Andrew last offseason, I had the best season of my high school baseball career. I batted .424, and was named 1st-Team All-County. I was also named as one the Top-18 players in the region. Next year I will be playing baseball in college, and I owe that in large part to the sense of determination and drive that Andrew instilled in me.